Magda Stoczkiewicz is director of Friends of the Earth Europe and a member of the REFIT Platform. One year ago, on 19 May 2015, the European Commission launched its plans for Better Regulation, a host of changes to the law making process in Europe. These changes included partial exemptions for small and medium sized enterprises from new EU environmental, social or consumer standards, revisions of existing EU regulations to lower costs for business and more impact assessments on regulatory proposals. The Commission’s stated rationale for this package was to further open up policy-making and listen and interact better with those who implement and benefit from EU legislation. It also declared that it wants to take a fresh look across all policy areas to see where existing measures need to be improved. To put a positive spin on the changes, the Commission used the slogan ‘better regulation for better results’. This may sound admirable, but the key question is of course: better results for whom? Is it the general public, citizens, consumers, employees or the environment that will benefit from these measures – or will various vested interests be the main beneficiaries? Trade unions, consumer groups, financial watchdogs, environmental and development groups were critical and argued that most of the changes were primarily aimed at lowering costs for companies at the expense of the public interest, putting environmental and social protections at risk. Costs for business seem to be given priority, not the benefits for society and the environment. These civil society groups have established the Better Regulation Watchdog to monitor the better regulation agenda and challenge the widely-held belief that regulation is a burden for society. The Commission argues that better regulation has nothing to do with lowering standards and deregulation. They have established a REFIT Platform, where civil society groups and business are asked to ‘present their views on the impact of EU laws and suggest how the legislation can be improved’. My organisation has joined the REFIT Platform, as we want to prevent business lobby groups from using REFIT to weaken environmental standards. 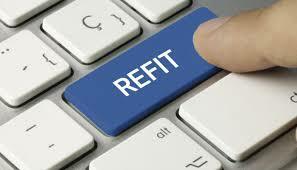 But we also want to test if REFIT can be used to actually improve legislation in terms of better achieving its environmental, social, health or other public interest objective, as the Commission claimed a year ago. However, the best test is of course to look at what the Commission is already doing as part of its better regulation agenda. Friends of the Earth Europe has analysed how a key environmental legislative proposal, the Circular Economy Package (CEP), has fared after it was re-vamped in the name of better regulation. When he launched the Commission’s work plan 2015, Commission Vice-President Frans Timmermans announced the withdrawal of the CEP, a set of measures intended to kick start Europe’s transition towards more sustainable use of resources. It covers a wide range of areas such as landfilling, recycling, product design and food waste. The package, proposed by former Environment Commissioner, Janez Potočnik, in July 2014, quickly became a target for business lobby groups, eager to water down the most ambitious provisions. BusinessEurope, Europe’s biggest corporate lobby group, warned against the proposal and argued it should abandon one of its main components, an overall resource efficiency target. Corporate lobby groups saw their chance to derail the package when the Juncker Commission took the helm in late 2014 and emphasised from the start the importance of the better regulation agenda. BusinessEurope was quick to draw up a hit list of unwanted legislative projects that the Commission should axe or completely re-vamp in the name of better regulation, among them the CEP. The decision to withdraw the CEP met with sharp opposition from environmental groups, but also from many member states and the European Parliament. Mr Timmermans replied that he would re-table “a more ambitious” proposal. He even made the package a test case for better regulation, asking sceptical MEPs to let him prove them wrong. When the Commission launched its new proposal in December 2015, there had not only been a delay of over a year but the proposal was actually less ambitious. One of the key elements of the previous package – a 30% resource efficiency target – has completely disappeared and the recycling targets have been lowered by 5%. The Commission also decided to remove a specific food waste reduction target of 30% and replaced it with a non-binding UN goal. Several member states have been granted longer timelines for compliance with targets. Ironically, Vice-President Timmermans did not follow the recommendations of the Commission’s own impact assessment on key targets, which showed that a target of 70% recycling by 2030 would be from a financial, social and environmental vantage point the most beneficial long-term option. So while we are yet to see how the REFIT platform will function, it is obvious that the Commission has failed the ‘better regulation’ test with regards to the CEP. The result is a significant delay of the legislative proposal, binding measures replaced by voluntary tools and targets reduced or removed completely from the proposal. Better regulation, rather than providing better protection for people and the environment, has served as an entry point for some business lobby groups to delay and weaken one of Europe’s major environmental policies. In the coming months, the European Parliament and member states will be debating the Commission’s proposal. They should aim to make the proposal “better” by bringing back the higher level of ambition that had been originally proposed.